Organized by players once active in the Milwaukee Chamber Orchestra, Milwaukee Musaik offers its second concert next Tuesday evening at Mount Mary University. The rechristened organization is managed by the artists themselves. They plan to offer intimate-scale chamber concerts tapping a wide variety of regional resources — most of its players are also members of the Milwaukee Symphony Orchestra. The January 25th concert featured a small string ensemble. That concert demonstrated the value of a chamber performance where the contributions of each player could be appreciated. Most of the classical chamber literature has been written for piano trios, string quartets and wind quintets. 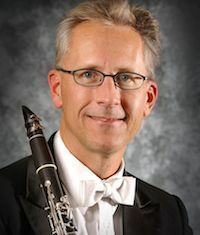 Members of the Prometheus Trio, the Philomusica Quartet and the Cream City Winds are among the founding players of Milwaukee Musaik. A key advantage of its open structure is that strings and wind combinations may be easily arranged. 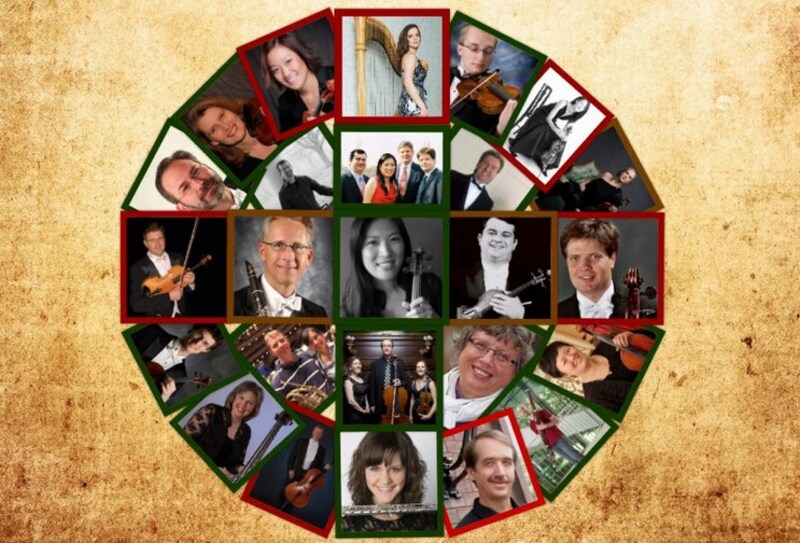 The principal works for Tuesday’s concerts involve three string and four wind players. The performers: Jeanyi Kim, violin; Nathan Hackett, viola; Adrien Zitoun, cello; Dan Armstrong, bass; William Helmers, clarinet; Rudi Heinrich, bassoon; and Darcy Hamlin, French horn. Irish composer Charles Wood wrote his Septet in C minor (1889) for the same configuration. While most the the players have played the Beethoven’s Septet, none had even heard of the Wood Septet. He wrote few chamber works. Wood’s reputation has been built upon his substantial contribution to Anglican church music. The concert will open with composition by Carl Nielsen, Serenata in Vano (1914). Written for clarinet, bassoon, french horn, cello and bass, the work features the clarinet as protagonist. The clarinet sings a tender serenade meant to woo a lady. When she fails to appear at her balcony, the melody become a bit more pathetic. Given no response, the clarinet and ensemble play a cheerful march as they abandon the effort. Even though the timbre is dark, little has been lost. This is not a sad piece but a charming vignette. The concert will be held in a little-known performance location, Helfaer Hall on the Mount Mary University campus. The room reminds Helmers of a European drawing room. Stone construction, wood paneling and a row of large windows suggest a 19th century performance space. Although rarely used for concerts, the Milwaukee Symphony Chorus rehearses in the room. Helmers reports a warm and lively sound. The concert is Tuesday, March 1 at 7:30 p.m. at Mount Mary University, 2900 Menomonee River Pkwy – just south west of 92nd Street and Burleigh Street. Musiak will perform in Helfaer Hall, attached to Caroline Hall at the south side of the “front lawn” of the campus. General admission tickets are $25 – students $15. Tickets may be purchased online or at the door. Neither a rich patron nor strong ticket sales will ensure that Milwaukee Musaik continues. I would encourage fans of quality chamber music to help this new initiative get off to a strong start by donating to the Milwaukee Musaik on their website. Milwaukee Musaik returns to Mount Mary University for its third spring concert, Sunday April 3 at 2:30 p.m.. The program “In Memoriam, Music of the First World War” will introduce songs and instrumental works written just 100 years ago. Selections written by Gurney, Butterworth, Debussy, Rogers, Caplet and Schönberg will be performed. Dr. Marguerite Helmers will offer a pre-talk at 2:00 p.m. before the concert. The performers will be quite diverse – including a baritone singer, plus harp, piano, flute and clarinet instrumentalists and strings represented by the Philomusica Quartet.